Done. This time I included a link to the GitHub too. Have you considered using GitHub releases for hosting your .bin files? That way you wouldn’t have to keep updating the .zip file because you can get the source from the release. It would also mean someone who uses the Clone or download button wouldn’t end up with two copies of the source code (and a .zip within a .zip). I’ll go clean that up thanks! 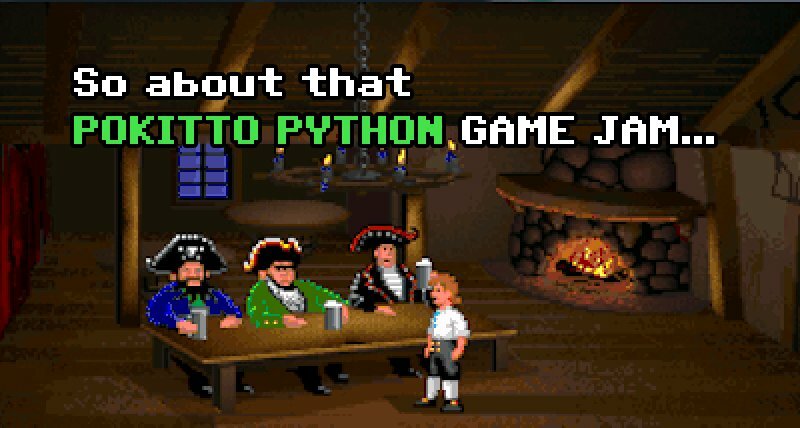 @Hanski , even though I can not win the competition, can we still include “Pyrates!” in the entries? If it weren’t for the compo, I wouldn’t have made it. And I want to take part. Mecha Narwhal! Another adventure in pyinsky. Explore the ocean depths as the Mecha Narwhal! Dodge shark poky coral, avoid or dash through dangerous jellyfish, and keep an eye out for those pesky sharks! The farther you explore, the faster you’ll go! Keep your eyes open. Thanks! Made them all myself been working on that. Learning the online editor was pretty straight forward. And the interoperability with the main editor is just phenomenal! Importing could literally NOT be any easier! I’m a newcomer to this community. Now I’m developping a game with this Online IDE. But it doesn’t work today. Maybe because of a limitation of the herokuapp service or other? Can someone tell me another way to build .py -> .bin on local PC without Online IDE? Even if push “Play” button, it doesn’t start building. No error messages. I tried hello world example, too. Does it work well now on your environment? Regardless of this problem, I want to know a offline way to build Python apps. I’m about to head to work so I cannot confirm (I’m on mobile). As for offline, there are a few links at the start of this thread that should have what you’re looking for. The first build can take a lot of time. True. If the play button is faded then it’s doing something. There could be a note also that something is happening. Now I change browser to Firefox, it works. With Mac Chrome, the play button doesn’t fade and looks nothing starts. I will use Firefox for a while. Thank you.